The Easter dress! Before I get too far past Easter (hmm it’s already been more than a month!) 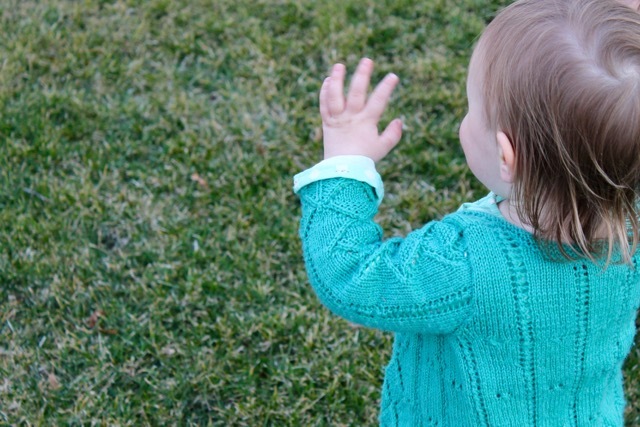 I wanted to share the sweet little dress & handknit sweater my girl wore. It has kitty cat faces on some on those dots for my little feline lover and I love how she points to them and says, “meow!” Made in dreamy double gauze, it was perfect for the lovely spring day and her very first Easter egg hunt which she thoroughly enjoyed, giving a squeal of delight every time she spotted one of the hidden (in plain sight) eggs. 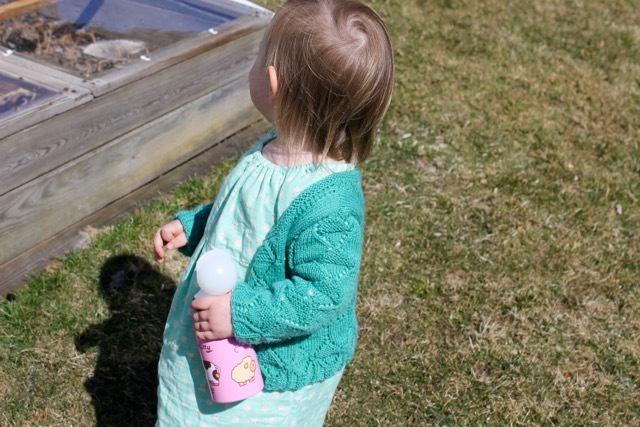 Also pictured is her much beloved “wa-wa bo” aka water bottle that was in her Easter basket.